It’s just so much fun to read that string of words: ‘Abraham Lincoln: Vampire Hunter’. Abraham. Lincoln. Vampire. Hunter. See? It just works so well by being completely obtuse. Hell, I’m grinning. And while it fails to deliver satisfying drama and coherent storytelling, director Timur Bekmambetov (Wanted, Night Watch) does accomplish exactly what the poster promises: it’s Honest Abe tackling the bloodsucking forces of civil-war-era undead for two hours. That’s as tantalizing a premise as Hollywood has offered up in some time, based on a book that subverts a classic tale along the lines of this film’s screenwriter Seth Grahame-Smith’s other major novel, ‘Pride and Prejudice and Zombies’ (itself slated for release in 2013). In this instance, of course, the figures central to the plot are essentially based on real people and circumstances– and that adds another additional layer of charm and potential for witty retooling. The story actually does a reasonable job of coming up with an interesting context for why vampires have gained a foothold in the United States. As we learn early on, the booming slave trade in the confederate southern states is actually partially a front for providing vampiric chow, and Abe Lincoln, who would go on to sign the all-important Emancipation Proclamation (freeing slaves of ownership and outlawing the practice), becomes intrinsically tied to liberating the people of blights both vampiric and social. Lincoln is played likeably by Benjamin Walker (Flags of Our Fathers, X-Men: First Class) an almost Doctor Who-ish level of meek action heroics, balanced by Lincoln’s political aspirations. Opposite Walker is the lovely Mary Elizabeth Winstead (Scott Pilgrim) as his eventual wife, Mary Todd. While Walker has enough presence (aided by remarkable facial prosthetics that looks damned-near spot-on) to play the American forefather, Winstead fluctuates between underplaying her role and occasionally overshooting it. It wouldn’t be a vampire movie without Vampires – and Marton Csokas provides plenty of scene-chewing menace as a part-time slave driving, plantation owner and full-time neck-biter. In the west, Bekmambetov previously directed 2008’s ‘Wanted’, a film that never received a whole lot of attention critically or otherwise. That’s probably fair; it wasn’t particularly special in most regards – save for the direction and cinematography. Those elements pointed to a latent talent behind the camera—and I’ve had my eye on Timur ever since. It’s interesting to see him crop up here, with his knack for stylish – sometimes quite inventive – action intact. 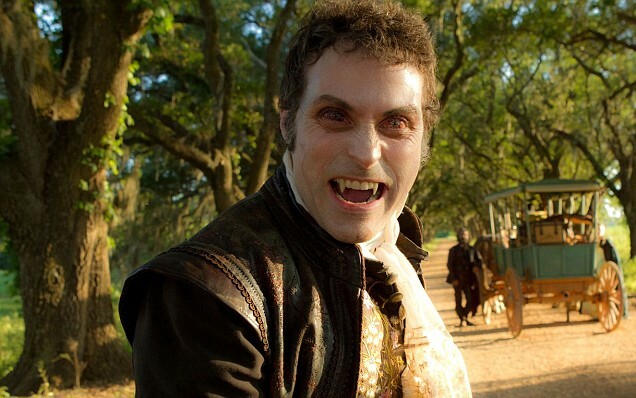 Rufus Sewell, a fan-favourite from 1998’s ‘Dark City’, gets to be on the receiving-end of some pale make-up this time. His direction doesn’t quite live up to previous efforts. As something of a comic book-style director, he tends towards less-than-subtle techniques, often using oddball framing to position his characters and plenty of very playful transitions. However, for a film that is trying to capture a snapshot of American history and turn it on its head, his sets lack that feeling of lived-in authenticity and some of the costume choices stick out. The acting and dialogue of the support cast also fluctuate wildly between daytime soap-opera and B-movie. Then things fire up—like a fantastic mid-movie sequence set during the battle of Gettysburg and Bekmambetov gets a chance to crack his knuckles. He coordinates combat flawlessly, orchestrating large-scale battles with precision and care. I’d pay to see him do a war film down the line, no question. When he focuses in on hand-to-hand combat, between Lincoln and his silver-bladed axe and a horde of dirtied confederate vampires, again Timur excels. Set on a speeding train as it punches towards a burning section of bridgework, the movie gives audiences that big-ticket pay off. There’s a lot of clever eye-candy effects work here and enough deliciously cornball character interplay to keep you chewing, eyes glazed. I can’t shake the feeling that this whole movie started out as a bet between two parties – one insisting it couldn’t be done and the other adamantly defending it. Regardless, here it is—a film likely sold to studios on the strength of the title as much as the content that would follow. 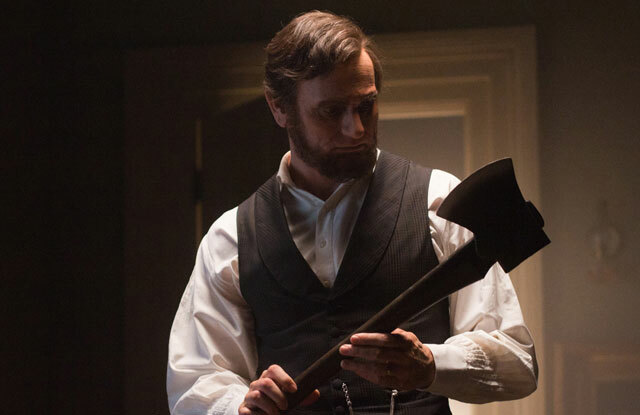 Frankly, if it gets kids talking about history again, Abraham Lincoln: Vampire Hunter succeeds where a lot of other films stumble—and even if it’s kind of a lame duck, there’s still a lot of dignity in that. I’m still so excited about this movie regardless Patch. The book was amazeballs. Totes amazeballs, in fact. It was entertaining but the movie could’ve been a lot better. A theme like this and almost no irony? Come on! But the last part of this review makes you think. What do you think kids can learn about history? Basicly that vampires (and NOT the white americans) were in charge of the slave trade. And THEY killed the indians, too. ….Christ!